Community Choices Waiver- Provides various services in the home and in the community to elders or adults with disabilities who qualify. Those services may include personal assistance services, adult day health care, transition intensive support coordination, environmental accessibility adaptations, assistive devices and medical supplies, nursing services, delivered meals, therapy services and caregiver temporary support services. Children’s Choice Waiver – Provides supplemental support to children from birth to 18 years of age who currently live at home with their family or with a foster family. This program assists by providing funding for medical care, home modifications, care-giving assistance and support with other specialty areas. 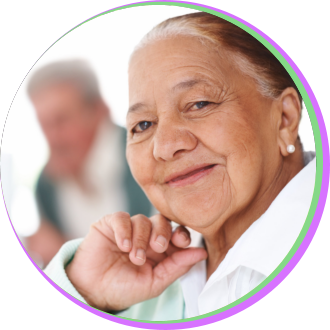 Long Term Personal Care Services – Provides help with activities of daily living for persons who qualify for assistance under program guidelines. The intent is to allow seniors to remain living in their homes or in the community. Services include assistance with but not limited to bathing, toileting, dressing, grooming, eating, transfers and ambulation, meal preparation, storage of meals, laundry, medication reminders, light housekeeping, arranging transportation for medical appointments. EPSDT – Child specific, provides a framework for routine health, mental health and developmental screening of children from birth to age 21. Provides basic personal care, toileting, grooming, assistance with eating, food preparation, incidental household chores for the recipients and accompanying to medical appointments. To avail of our services, you can call us at 225-293-7590.